Olumide Emmanuel Idowu's passion for change is the beginning of the Initiative Youth Alive Initiative (YAI). He is an inspiration to peers and people around him, born in Bauchi on August 21, 1987 to Engineer Femi and Mrs. Funke Idowu. As a teenager, He organized youth club meetings in his home during which members discussed youth related issues. A Statistics graduate of the University of Abuja, he also attended the Loyola College in Ibadan. AG: WHAT WERE YOUR CHILDHOOD DREAMS? Olumide: I look back to some of my childhood dreams and I sometimes smile at how aggressive I was with my dreams. Frankly, I’m actually sort of impressed with my dreams from back when I was a kid. Back then, I thought all dreams were possible to achieve if you really wanted to achieve them. The funny thing is they were possible to achieve.I told myself that I must be educated and meet the needs of the communities and it was fulfilled and am still hoping on may more to come true. AG: YOU ARE A MEMBER OF MANY ORGANIZATIONS, HOW IMPORTANT IS YOUTH DEVELOPMENT TO YOU? Olumide: I am into many youth organizations in which I work with and volunteer for. Youth development, to me is simply empowerment and Job Opportunity. When the youths are been empowered we have a change in the economy of the country and all thing move smoothly. Nigeria is a country with diverse opportunity and we need to tap into it and that's what we at YAI are putting in place for them to grow and use their in-built skills. The process of growing up and developing one's capacities, happens no matter what we do. The challenge is to promote positive youth development and plan quality experiences with young people." AG: YOU FOUNDED THE YOUTH ALIVE INITIATIVE; CAN YOU TELL US WHAT YAI IS ALL ABOUT. Olumide: Youth Alive Initiative is a youth-led and youth-run not for profit youth organization founded 2008. 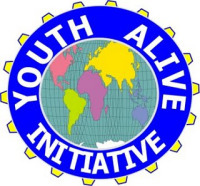 Youth Alive initiative is an initiative by and for young people to develop to their fullest potential and bring about positive change in the societies they live. Youth Alive Initiative focuses on providing support and training for young people in several areas including HIV/AIDS, Peer Pressure, Self Confidence and United Nations Millennium Development Goals through the use of Information and Communication Technology (ICT)? I implemented several projects which includes, Computer Literacy Project, The Role of Youth in Community Development, Answer Solution and Knowledge (ASK) around HIV/AIDS, Young Entrepreneurship (YES), Switch ICT Project. These projects have collectively reached 1,500 young Nigerians. Ultimately the impact of Youth Alive Initiative is to enhance the quality of life for all members of the society. AG: WHAT WAS THE CATALYST THAT LED TO THE FOUNDATION OF YAI? Olumide: First and Foremost, I am passionate about community and this has always been my childhood dream. I told myself that I must start something, not an NGO but an initiative that will give the youths a voice in every field of life. This race started 2008 after I completed my leadership training with LEAP AFRICA in Abuja, I was motivated by the training and till today I can say I have numbers of youth that benefited from our opportunities both Nigeria and out side the country. AG: HOW HAVE YOU BEEN MAKING A DIFFERENCE? Olumide: We focused primarily on training young people in several areas including HIV/AIDS, Peer Pressure, Self Confidence and United Nations Millennium Development Goals through the use of Information and Communication Technology (ICT), through the years we have broadened our scope to include others in need in our underserved community. We now provide support foods and goods for people in different communities and we are still planning to do more for them. I can not really give you the exact communities we have worked but we have reach 1,500 youths which we know they feel the impact of the opportunities been giving to them. AG: WHAT IMPACT DID YOU SET OUT TO HAVE ON YOUTH? Olumide: The only thing I tell the youth is all about the SMART analysis, with this you can have a plan and set a goal for yourself. Young people will work with their Advisor to set SMART goals in each program area. And it really helps them know what they are doing. AG: GREATEST INFLUENCE IN YOUR LIFE-AND WHY (PERSON)? Olumide: My Mother, and for good reason.She loved me when I was not lovable, despite my faults and shortcomings. She stood by me and fought for me when others would not. She encouraged me, financed me, and believed in me. In a short word my mother has been there for me all the time and I cannot forget her. Even when I started my initiatives, she took it as a responsible to help out in all what we do. She’s a mother for all. AG: YOU ARE ALSO A WRITER, WHAT DO YOU ENJOY ABOUT WRITING? ANY PUBLISHED WORKS? Olumide: Yes I love writing and I mostly write on real life issues, poems and comics. 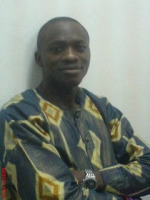 I have numbers of articles I have written and been published in some magazine both in Nigeria and outside the country. Well, presently I don’t have a published book now but still working on it. AG: FIVE WORDS THAT CAN BEST DESCRIBE YOU AT THIS MOMENT OF YOUR LIFE? Olumide: Innovative, optimistic, dynamic, determined and loving! AG: FIVE WORDS THAT MIGHT DESCRIBE YOU IN FUTURE? Olumide: Professional, Compassionate, Respectful, Reliable and Resourceful. AG: WHAT WOULD YOU LIKE TO ACHIEVE IN YOUR CAREER IN FUTURE? Olumide: The five points mentioned will capture what I intend to achieve in future. 1. Make time to facilitate the change. 2. Identify my values in me and my friends. 4. Create a network of contact. That's wonderful. Thanks to African Genes. Born in August 21, 1897? Nice interview, Olumide is a great encourager. I wish him all the best.